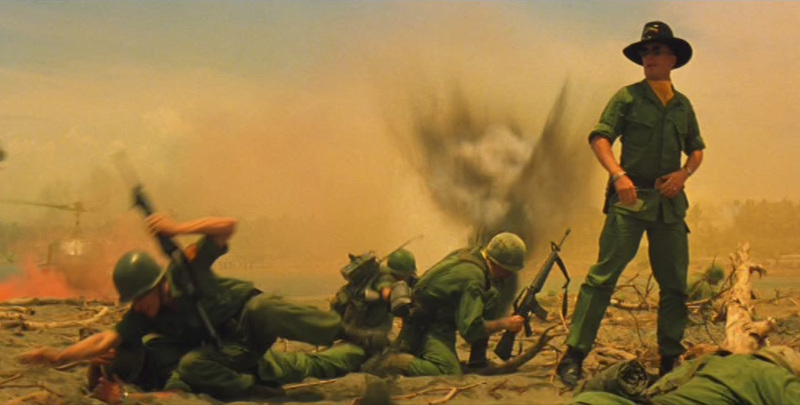 This is where Apocalypse Now really turns into a war movie. The action and insanity come hard and fast; the boat hits the beach and is instantly surrounded by copters, boats, soldiers, and bedraggled civilians. An amphibious vehicle crawls up out of the water and topples a building. Then we hear a voice saying “Don’t look at the camera”; the shot pans and there is Francis Coppola himself, along with cinematographer Vittorio Storaro and production designer Dean Tavoularis, playing a TV crew.